Corks Out has visited many Australian wine regions in order to research and sample the country's finest wines for our selection. From classics and big brands to independent wine producers and hidden gems, we stock a varied assortment of quality wines that truly represent their regions of origin. The main grape varieties grown in Australia include Shiraz, Riesling, Chardonnay, Semillon, Sauvignon Blanc, Cabernet Sauvignon and Merlot. Australian Sauvignon Blanc is well worth a try, as it is vibrantly crisp, elegant and fresh with plenty of tropical and citrus fruit flavours. Riesling - particularly those from Clare and Eden Valley - has also risen in popularity in recent years as a result of its citrus flavours and refreshing acidity. Chardonnay is another Australian wine that has been revitalised, with the newer styles ranging from fresh and laden with minerals to powerful and rich. Wine is produced all over Australia, however, there are regions which the grapes thrive. Because of the warm climate in Australia, the grapes usually grow best in the cooler regions. The most common regions are South Australia, New South Wales, Victoria, Western Australia and Tasmania. Each region has well known sub regions which produce a particular grape. For example, the Barossa Valley is famous for producing Shiraz wines. The Clare Valley is known for Riesling and Adelaide has the largest production of Chardonnay. If you are looking to try something new and a little bit different, we would suggest that you pick up a bottle from Parker Estate, thier fine wines are nothing short of exeptional. Parker Estate Terra Rossa Cabernet Sauvignon - This Cabernet Sauvignon wine showcases all the hallmarks of an optimal growing season: rich, ripe and generous. A portion of the wine spent a prolonged time on skins (thirty days) to ensure extended aging potential. Parker Estate 95 Block- Cabernet Sauvignon and Petit Verdot grapes make up this astonishing wine. From the vineyards located west of the cellars it is matured in French oak barrels for 21 months before bottling. Parker Estate First Growth Cabernet Sauvignon - Parker Estate First Growth has set a benchmark for superior wine quality in the Coonawarra region. A Cabernet Sauvignon that uses only the very best viticulture and winemaking practices, and is only produced when a particular vintage shows exceptional fruit quality and is deemed to have ageing potential for a minimum of fifteen years. View all Australian wines here. All Australian wine at Corks Out is available to buy online, with next day delivery available and free delivery on most orders. 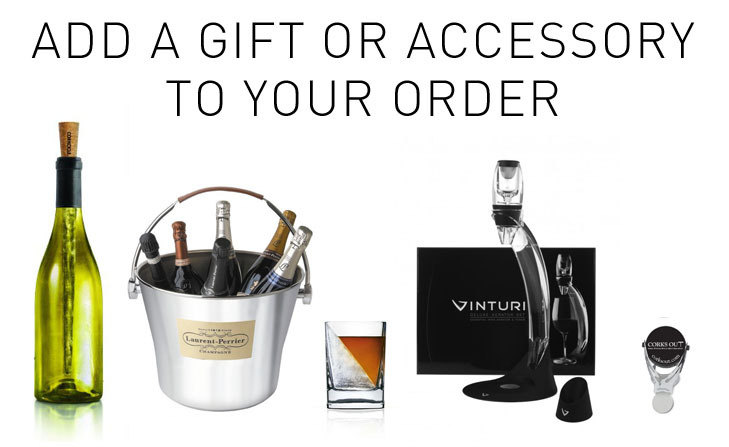 We also have no minimum order, giving you the opportunity to pick up the exact number of bottles you require.